Every day, more and more smartphone users come to the terrible conclusion that their beloved 3,5mm headphone jack is disappearing. Top of the line smartphones often ditches the well-known jack for a more universal design, which leaves us consumers without an easy way to listen to our favorite tunes. For the people who don’t care that much, there’s often a dongle in the box, so you can still use your good-old wired earplugs. But for the more critical buyers, there is the solution of Bluetooth earphones. And for the people that want to ditch the wires altogether, there are a handful of options out there. Most notable are Apples Airpods, but with an MRSP of €179,- they’re far from cheap. And that’s where the QCY Q29 Pro’s Bluetooth Earbuds come into play. 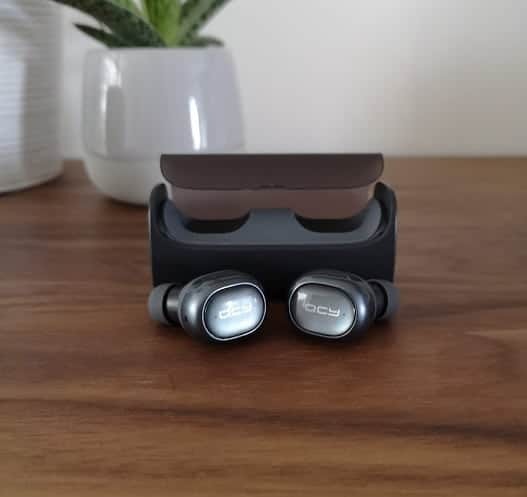 With an average price of about €30,-, they seem to be the best bang for your buck when it comes to true wireless earbuds. We got our hands on a pair and we will give you our unbiased opinion. You can buy your own pair of these earbuds for about 20-30 euro from GearBest. The packaging contains only the bare essentials. The earbuds are securely placed in the charging cradle/carrying case. The product comes with 3 sets of ear tips; small, medium and large. The box contains a user manual and a quick-start guide, and that’s about it. The earplugs make a tight seal when you put them in your ears, which gives the user the benefit of passive noise cancellation. It doesn’t filter out all noise, but it’s effective enough to hear the music clearly. Each earbud has a button behind the QCY logo which can be used to pause/play music with one click, skip tracks by double-clicking and be answering and declining calls. They can be turned on/off by holding the button and can be charged within the charging case. When first using the earphones, they need to be paired. Not only do you need to pair them with your phone, but they also need to be paired with each other. This is made easy with the automatic pairing of the earplugs. First, you need to turn on the right bud by holding the button until the light starts flashing red-white. On your phone, connect to the QCY Q29 Pro_R. When connected, disable Bluetooth on your phone to terminate the connection. Now the right bud knows the phone but doesn’t know that the left bud exists. 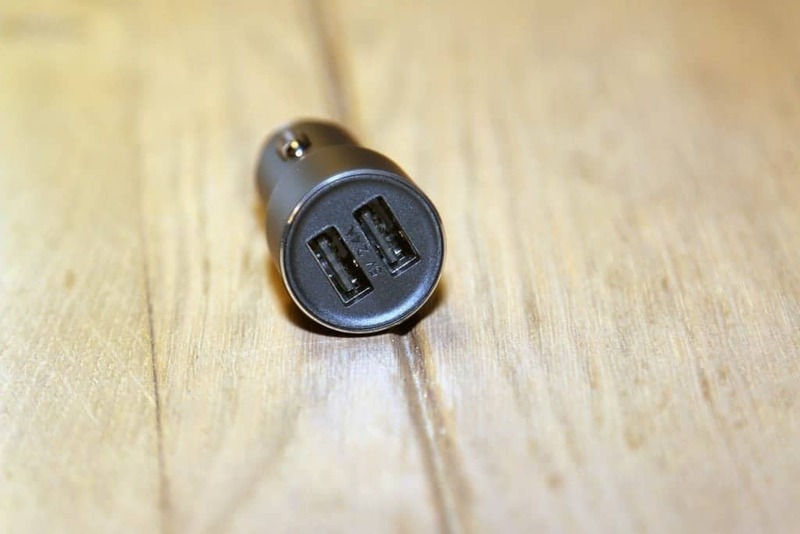 To connect them to each other, shut down the right bud by holding the button until the red light shows. Now take both the left and right bud, hold the button until they both start flashing red-white, and then start pressing the buttons on both earbuds until they both stop blinking and show a white LED. After that, you can turn on Bluetooth of your phone and they will connect instantly. I know this looks like a very complicated pairing procedure, but in reality, you only have to do this once. After the pairing procedure, if you take the buds out and turn them on, they instantly pair with each other and your phone. When you put the buds in the cradle they turn off automatically and start charging. It would be amazing if they would automatically turn on when you take them out, but sadly this isn’t the case. Still, it’s only one extra step to start using them, so it’s not that big of a problem. One thing I am really amazed by is the quality of the audio. These relatively cheap earphones have an amazing sound! I’ve compared the sound to both my Bluetooth earplugs (JBL T110BT) and my Bluetooth headphones (Sony MDR-ZX330BT), both almost twice the price of the QCY earbuds, but these buds win easily. The bass is clear but not overpowering. I listen to a lot of rock music, and overpowering bass can ruin the listening experience quite quickly. 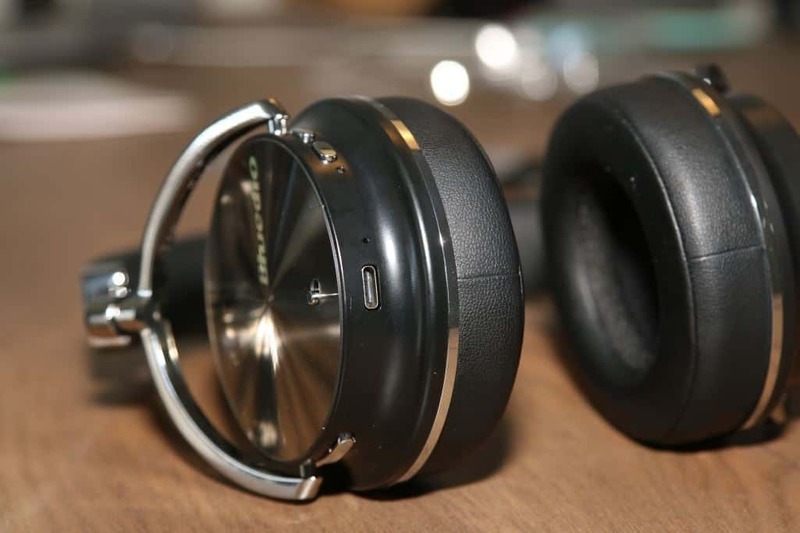 But these buds have a nice rounded soundstage and make listening to any type of music quite a pleasant experience. And if this was the whole story, it would be a great product and an instant recommendation. Sadly, there are a few negatives with the QCY Q29’s that need to be addressed. Even though the quality is great, the connection is not so much. Once every few minutes one of the two earbuds cuts out and needs to reconnect. It usually takes no more than a second, but it ruins the listening experience quite a bit. I’ve tested the buds in a number of different scenarios, like doing the dishes, when running, in public transit or just being my desk at my job. In all these scenarios the stuttering was an issue. Even when it was laying right in front of me, sometimes a bud kept losing connection. Even for a pair of cheap earphones, this is just irritating. This could be a defect with our unit, though, but do keep this in mind. Another issue I had was with watching videos on my phone. With both YouTube and Netflix, the audio was out of sync with the video. This is probably an issue with all the audio, but with music, this isn’t a problem. A video, however, relies on a synchronized audio track, and the experience of watching video is quite bad with these earplugs. Something to take into consideration before buying. The overall look and feel of the QCY Q29 Pro’s are not bad for a pair of cheap earphones. They’re of course made of plastic, but the buds don’t feel cheap. The charging case, however, does feel a bit cheap, but that’s not unexpected for the price. Even though it’s not that premium feeling, it protects the buds and charges them, so it gets the job done. The buds themselves are a little clunky. There is no clip to fit them in your ears, so you have to rely on the friction fit of the earbuds themselves. As for the fit of them, this will be different for everyone. For me, these earbuds don’t fit amazing. I have to use the biggest ear tips to make sure they don’t fall out. Due to this, the earplugs start to ache after a little while, and because I’m moving around I have to push them back in every so often. After an hour of listening my ears are hurting a bit and I have to take them out. But then again, your mileage may vary. With the removal of the headphone jack on phones, many manufacturers are jumping in and are developing wireless earphones. Some have a cord between the buds, some are truly wireless. On the truly wireless side, the QCY Q29 Pro’s are by far the cheapest option that delivers a good-enough sound to replace your old wired pair. The next best thing would be a €100,- to €200,- a pair of high-end buds, and if you’re not willing to pay that amount I can understand. Your other option is a pair of Bluetooth earbuds that have a wire between them. QCY also has a pair of these, the QCY Q19’s, which have great reviews. Otherwise, there are enough 20-30 euro earphones, from Chinese brands to the main brands. Otherwise, you could go with a pair of Bluetooth over-ear or on-ear headphones. 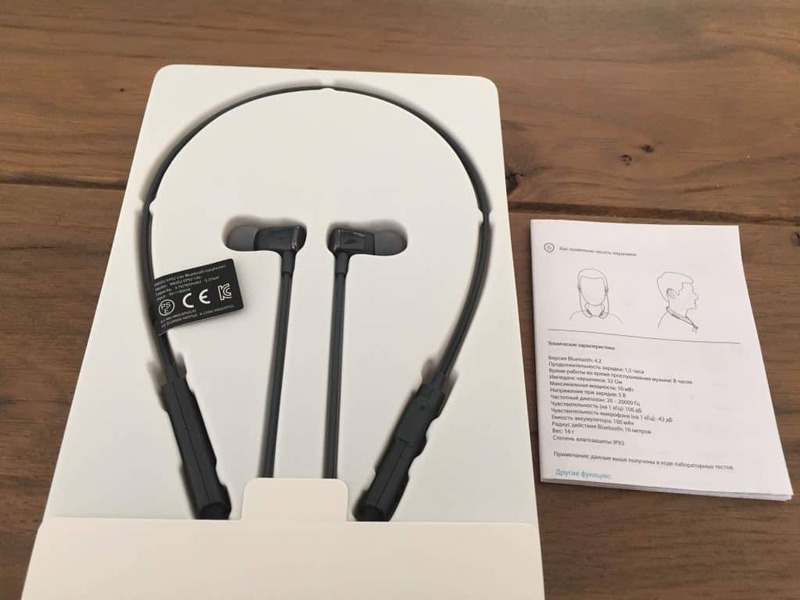 These mostly have a better connection than the small earbuds in this review and could cost about the same. Check out our review of the Bluedio T4S if you’re interested. The audio quality is great! This one is easy. These earbuds are okay if you really want a pair of cheap truly wireless earbuds. They do have their problems, as described in this review, but if you can overlook these shortcomings, there is nothing better you can buy for the money. I was really looking forward to these earbuds. The reality of fully Bluetooth earbuds for this kind of money was very interesting to me. Sadly, with all the negatives that I’ve found during the review period, I cannot recommend this product. I watch a lot of video on the road, so the out-of-sync issue is too big of a problem for me. I do find a wire behind my head a bit irritating, but if that means I don’t have stuttering and out-of-sync audio, I will settle for a wire. If you want Bluetooth earbuds, these don’t have my recommendation. I’d suggest a pair of earbuds with a wire or some Bluetooth headphones. Until the next version of these earbuds come out, I don’t think the positives weigh up to the negatives. You can buy from GearBest.